This is the city that attracts more than 37.5 million visitors a year by offering the grandest hotels, the biggest stars in entertainment, the highest caliber of award-winning chefs and master sommeliers and, of course, the brightest lights. As for gaming, if you can bet on it, you’ll find it here. Vegas is more than gambling, showgirls, and the crazy throngs of Fremont Street. Catch comedy and music headliners as well as fantastic acrobatic performances and master magicians. Take a walk down the famous Vegas Strip for premium shopping and dining options tailored by the biggest culinary names in the industry. Get thrills aboard the Stratosphere’s X-Scream roller coaster, take in a medieval jousting match at Excalibur, or ride a gondola through the Venetian. There’s no shortage of unique entertainment shared amongst the various venues and hotels. And while Vegas offers many urban delights, nature has something special to share here as well. Red Rock Canyon offers scenic hiking and wildlife viewing either self-guided or coordinated with your own experienced local tour guide. Next venture a bit further out to see Boulder City, Hoover Dam, Lake Mead, the Grand Canyon, Valley of Fire State Park, and many other desert spectacles. 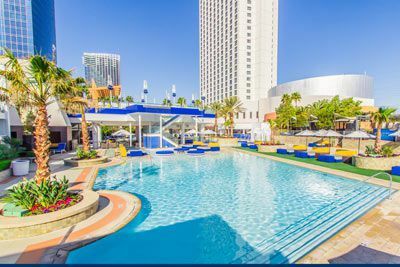 Internationally recognized for its exceptional accommodations, high-energy nightlife, extravagant pools and world-renowned restaurants, The Palms Casino Resort captures all the excitement and energy of Las Vegas in one vibrant setting. Situated on nearly 30 acres, The Palms is a boutique property with three distinct towers – each offering unparalleled views of the iconic Las Vegas Strip. Having recently undergone a multi-million dollar transformation, The Palms has redesigned guest rooms, added new culinary experiences, re-imagined gaming areas and created even more distinctive nightlife and daylife experiences. 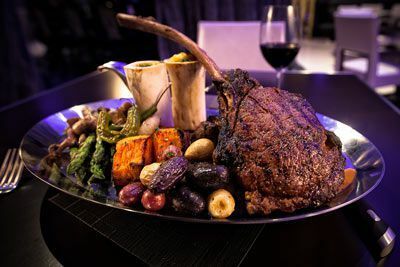 Each of The Palm's award-winning restaurants is home to a world-class chef whose cuisine not only excites the senses – but the culinary world as a whole. Whether you’re hungry for a little down-home cooking or have a taste for the exotic, a selection of casual restaurants will please any palate. And with a variety of atmospheres ranging from sports-driven entertainment to relaxed, poolside dining, the settings are as diverse as the menus. The Eatery is a collection of popular, fast-casual restaurants located at the west end of the casino. No matter what or when you're craving, you can always grab a quick bite and then get back to the good times. The Palms shines brightest once the sun goes down. For those who want a sizzling dance floor with a view, nothing tops Ghostbar. If you're looking for a different vibe, The Palm's offering of lounges and bars are a comfortable, stylish way to make the most of the night. Home to one of the only IMAX experiences in Las Vegas, Brenden Theatres is a 14-screen movieplex on The Palms casino floor. Each theater really ups the movie magic with tiered stadium seating, plush rocker high-back seats, digital sound and giant wall-to-wall curved screens. Palms Place Studios are located in the Palms Place Hotel and Spa Tower. These feel more like a home than a hotel. Comfortably removed from the non-stop action of the casino, each of the tower's suites is a study in elegance and relaxation. 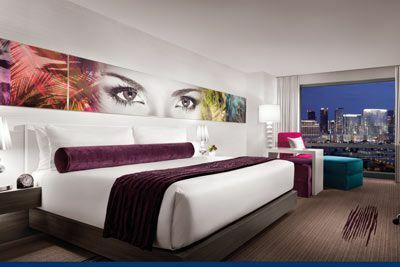 Palms Place Studios are approximately 615 square feet and feature (1 king bed plus 1 Queen sofa sleeper). Guests will enjoy the amenities of an upscale condo such as 9-foot ceilings, living room, imported hardwood and marble floors, two flat screen TVs, a state of the art kitchen, Whirlpool bathtub, safe, iron/board, hair dryer and much more. Please note that the Palms Place is a slightly longer walk to the Palms meeting rooms (approximately 10 mins). 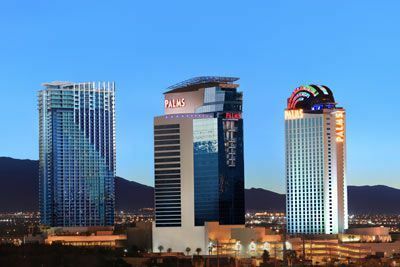 Palms Place is about a 5-minute walk from the casino floor. For your convenience, there is the Skytube – an enclosed passageway with two moving walkways – that connect Palms to Palms Place. $100 July 5, 2020 to August 4, 2020. No refund after August 4, 2020; however, 50% of tuition paid may be applied toward tuition for another NWS program within the next 12 months. Cancellation must be made in writing.